WHAT HAPPENS DURING AN ONLINE MEDICAL MARIJUANA CONSULTATION? Prior to meeting with a New York medical marijuana doctor, you will be asked to complete a few medical forms, answer a few questions, and enter your credit card information. Once your medical documents and payment information are accepted, you will then connect with an online marijuana doctor via video chat to discuss your application and answer any questions you may have. More importantly, the doctor will help you understand the options you have with medical marijuana treatment and how it can help you with your qualifying conditions. WHEN DO I RECEIVE MY MEDICAL MARIJUANA RECOMMENDATION? If the online marijuana doctor approves your conditions to use medical marijuana, you will have immediate access to a downloadable version of your recommendation letter, and an official physical recommendation letter will arrive in the mail 5-7 days after your consultation. No, there is no government list for medical marijuana recommendations and patients. We respect the privacy of all our patients, and your medical information is never shared. After you receive your medical marijuana recommendation online, you will be responsible for registering with the New York Medical Marijuana Program. You can do so by visiting New York State Medical Marijuana Program. WHAT HOURS CAN I BE EVALUATED BY A MEDICAL MARIJUANA DOCTOR? 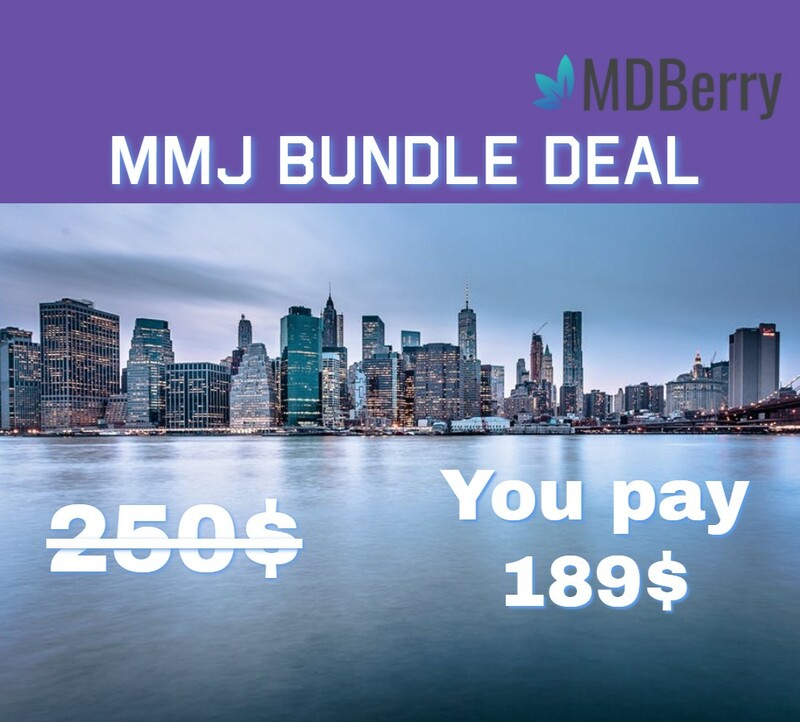 MMJ Doctor is available to connect you with a New York medical marijuana doctor 7 days a week from 11:00am to 7:00pm. Please expect a call from us during this time period of time. It is very important to have a stable internet connection and to be in a private location. This is a medical visit and information can only be shared with the patient. MY VIDEO IS NOT WORKING? WHAT DO I DO? We are working hard to fix a connectivity issue on Apple devices. In case you have an iphone and cannot see our doctor, we will try to call you via Skype or Facebook video. A customer service representative will contact you shortly to check your phone connectivity. WHAT IS TELEHEALTH? IS IT LEGAL? Telehealth is one of the most advanced ways for a medical marijuana doctor in New York can evaluate patients. Telehealth allows doctors to use the internet to provide health care, health education, and file paperwork as a way of better servicing patients with qualifying medical conditions. You can learn more about telehealth by visiting healthit.gov. Are you dealing with a health condition that negatively affects your overall quality of life? If you live in the state of New York and have tried other methods of treatment that have not worked, you could qualify to legally purchase and use medical marijuana in your treatment plan. 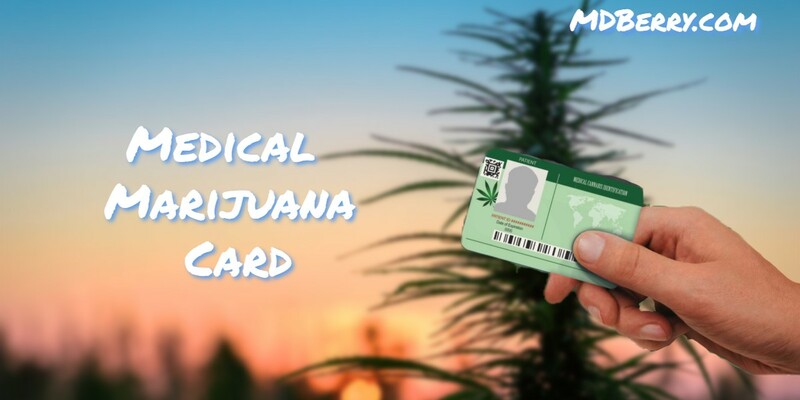 Are you wondering how to get a medical marijuana card from a doctor in New York? The process is a relatively simple and straightforward one. Here is what you should know if you want to pursue qualifying for medical marijuana to treat your chronic health condition. DO I QUALIFY FOR A MEDICAL MARIJUANA CARD IN NEW YORK? 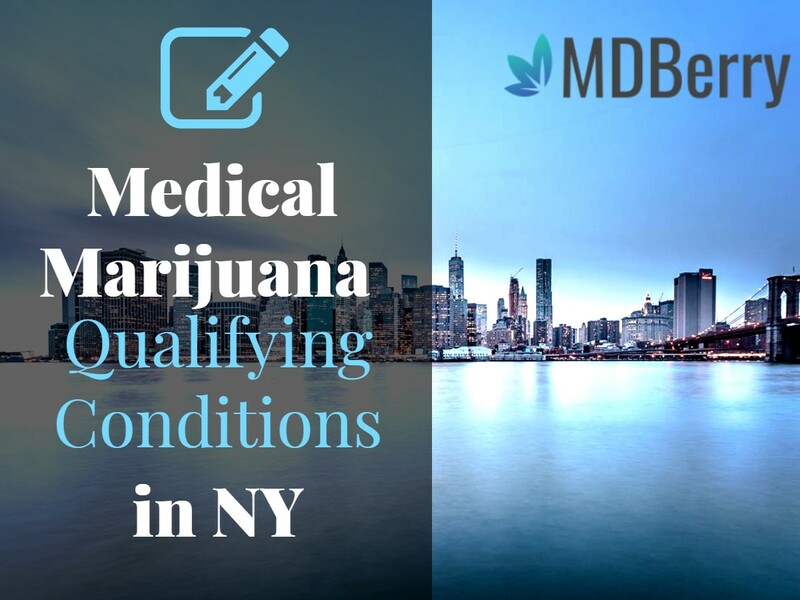 To qualify for a medical marijuana card in the state of New York, you must first be able to prove that you are a legal resident. You can do this with a driver’s license or an alternate form of ID such as a utility bill or birth certificate. Next, you must determine if you have one of the conditions deemed legally treatable by cannabis in the state. These include those that cause extreme stress, nausea, spasms, seizures, or debilitating pain as well as any condition that you could be prescribed opioids for. Specific conditions that qualify for medical marijuana use include Huntington’s Disease, Parkinson’s, cancer, multiple sclerosis, post-traumatic stress disorder, HIV/AIDS, epilepsy, ALS, spinal cord injury, or neuropathy. Do you have one of this qualifying conditions? Schedule Your appointment online with a licensed medical marijuana doctor in New York now. Those who live in New York are fortunate as they do not have to see a medical marijuana doctor in person to qualify for a medical marijuana card. They can do so online. When you work with a reputable online medical marijuana doctor, he or she will thoroughly look through your health records and history to determine what type of health condition you suffer from, your symptoms, how long you’ve been suffering from the disorder, and what other methods you have tried to treat it. If he or she believes you would make a good medical marijuana patient, a medical marijuana recommendation will be issued. You can then use this mmj recommendation to apply for a marijuana ID card with the New York Department of Health. When looking for an online medical marijuana doctor, make sure you do your homework to avoid scams. If the site does not have a qualified physician on staff and if you are not interviewed regarding your symptoms and medical conditions, you are probably working with a scam company. A reputable online medical marijuana doctor will take the time to thoroughly go through your health history with you to ensure that marijuana is a good choice for your treatment plan. If your application is approved by the New York Department of Health, you will receive your marijuana card in the mail within seven business days. Your card allows you to legally purchase medical marijuana from any dispensary in the state. Simply take your mmj card into your dispensary of choice and talk with the knowledgeable staff about your medical condition, symptoms, and any lifestyle considerations that may affect your treatment plan. This will help the staff recommend the right types and doses of marijuana for your specific needs. In the state of New York, it is still illegal to buy any smoked varieties of marijuana. However, you will be able to buy it in forms such as vapes, pills, tinctures, or oils. The dispensary staff will guide you to the correct choices depending on your needs and preferences. You will be able to purchase your products and take them home the same day you visit the dispensary and may begin your treatment plan immediately. Under state law, you may purchase up to a 30-day supply during your visit. The laws regarding medical marijuana purchase and use are changing at a rapid pace. New York is now one of 30 states that has made medical marijuana legal for those who qualify. If you live in New York and have been dealing with a chronic medical condition that causes pain, nausea, spasms, anxiety, or seizures, you may be able to use medical marijuana to supplement your treatment plan. It’s important that you choose an online medical marijuana doctor who is reputable and will thoroughly qualify you for a medical marijuana card before making a recommendation. Please note that no doctor can prescribe marijuana for any reason. They may only recommend it and make it possible for you to apply for a cannabis ID card with the New York Department of Health. Once you have qualified and received your card in the mail, you will be able to visit any dispensary in the state to learn more about the doses and types of marijuana that will best work with your treatment plan and ease your symptoms.